Military exercises should be aimed at conducting large-scale offensive operations, Azerbaijani Defense Minister Zakir Hasanov said, the press service of Azerbaijan’s Defense Ministry reported. He made the remarks at an official meeting held at the Central Command Post April 6. Recalling the visit of President of Azerbaijan, the Supreme Commander-in-Chief of the Armed Forces Ilham Aliyev to military units and his statements made in regards with the results of the April battles, the minister of defense brought to the attention of the meeting participants the latest tasks assigned to the army. Hasanov set the tasks for the officials to increase the intensity of exercises and training conducted according to the combat training plan, especially at night, in conditions and in areas as close as possible to the combat, to increase the combat readiness of the military personnel and the combat capability of the units, to organize the preparation for transferring of weapons, military and special equipment to the summer mode of operation, to organize the process of the military discharge for servicemen who completed their military service and admission of young soldiers, called up for military service. 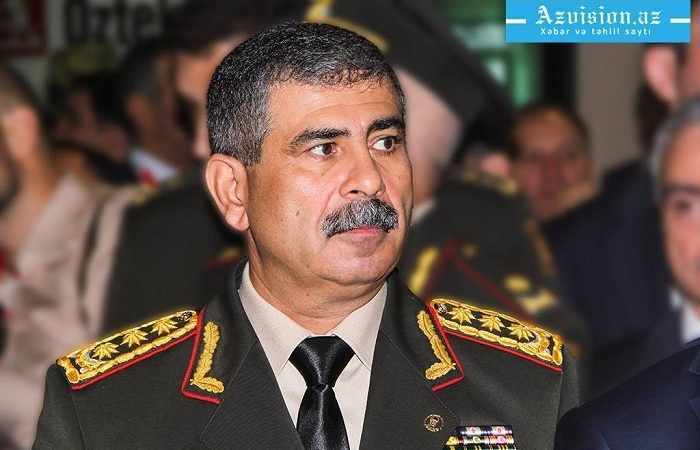 Touching upon the irresponsible statements of the military-political leadership of Armenia, Colonel-General Zakir Hasanov noted that this would lead to an increase in tension on the front line. He emphasized that all the exercises, conducted according to the plan, are aimed at conducting large-scale offensive operations. The minister gave specific instructions to commanders and chiefs of all levels to organize constant observation and to control the actions of the enemy, to give a forceful response to his every possible provocation and to be ready to begin active combat operations at any time.